The Joe Sharino Band is the number one versatile entertainment choice for Corporate Events, Conventions, Fundraisers, Festivals, Wedding Receptions or any other party or event! Although they are well known in Northern California's Bay Area in places like San Francisco, San Jose, Santa Cruz, Napa, Yosemite, Monterey and Carmel, they perform all over the United States and always earn rave reviews! Why does the band consistently please audiences? They sound great, they're incredible singers, with very high energy, they do an incredible variety of music and... they entertain!!! The Joe Sharino Band has an incredible ability to excite a crowd into singing along at the top of their lungs and the dance floor is always full! The all star band includes a former member of Santana and Sly and the Family Stone, plus a songwriter for Earth, Wind and Fire and Lee Rittenour. A two-man crew operates the sound and stage lighting. Their music is the best of Pop, Rock, Motown, Funk, Country, Disco, R and B, Jazz, Latin and Swing from the last six decades. They always win the audience over! 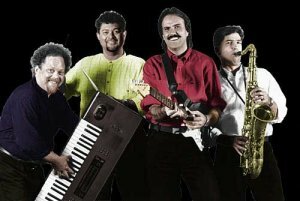 The Joe Sharino Band can expand from 4 members to 8 members or more. In fact, in 2004, they announced the formation of the Sharino Allstars. The Sharino Allstars is an eight piece Sharino Band complete with a full three piece horn section and two female vocalists. The Joe Sharino Band has performed at concerts and corporate events all over the U.S. and at such famous spots as the Alladin Hotel Casino, Las Vegas; Hilton Hotel Casino, Las Vegas; Sahara Hotel Casino, Lake Tahoe; Sheraton Honolulu, World Trade Center, New York City, State Capitol Building, Sacramento California, and an audience of 250,000 people at the Us Festival in Southern California. Joe and the band have appeared on SHOWTIME and nationally televised news broadcasts on ABC and NBC television.